I'm trying to fulfill the steps beneath, but I see no CMYK values in the screenshot beneath? Scroll to the page 22, as this is the first page with background fill you want to get rid of. Open again Tools → Output Preview and read CMYK value of the background. As I was converting Pantone with simulation to U.S. Web Coated (SWOP) v2, my CMYK values for background are 10:2:0:5. It's ok, if you will have different values. Just write them down as you will need to use them later. What have I done wrongly? I screenshot the steps beneath. 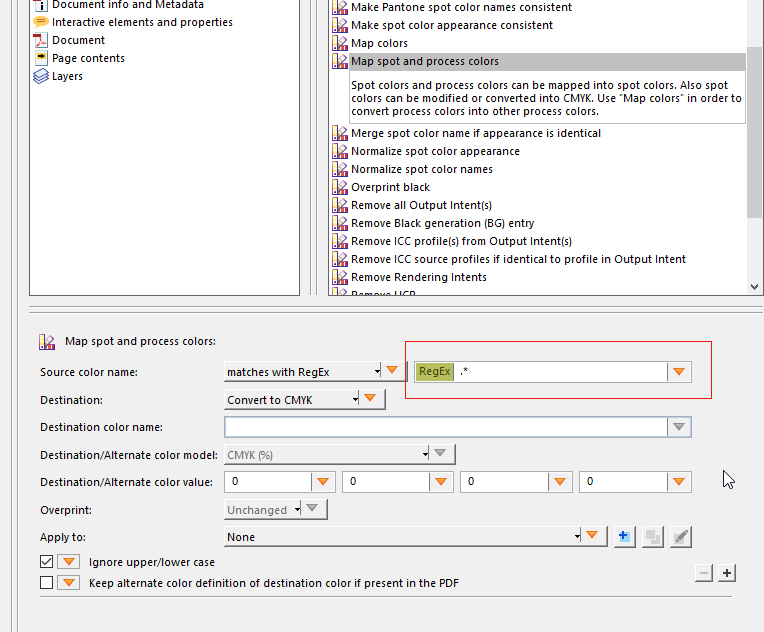 In color selection you left RegEx expression empty so the Fix didn't select anything. You must write in RegEx expression . * (dot and asterisk). Not the answer you're looking for? Browse other questions tagged adobe-acrobat or ask your own question. Why did the fixup to 'Convert All Spots to CMYK' fail? How to convert a color scketch in a PDF document to a gray scale image using Acrobat Pro 9? Convert pdf files to slideshow without Acrobat? 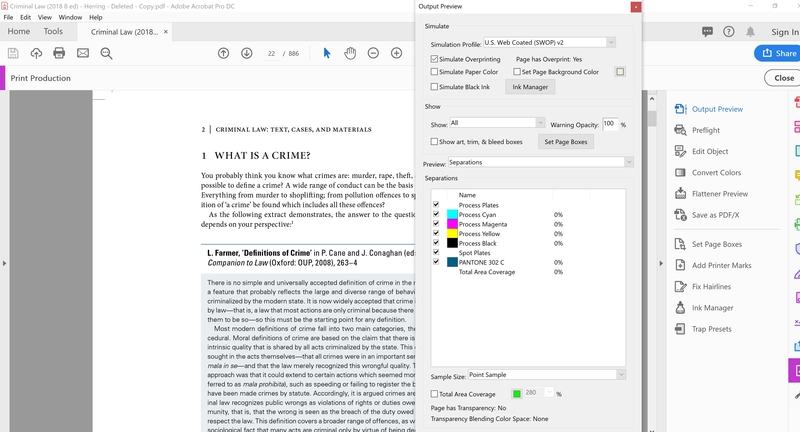 Can Acrobat Pro edit locked text layers in PDF? Where's 'Convert All Spots to CMYK' in Adobe Acrobat Pro DC?